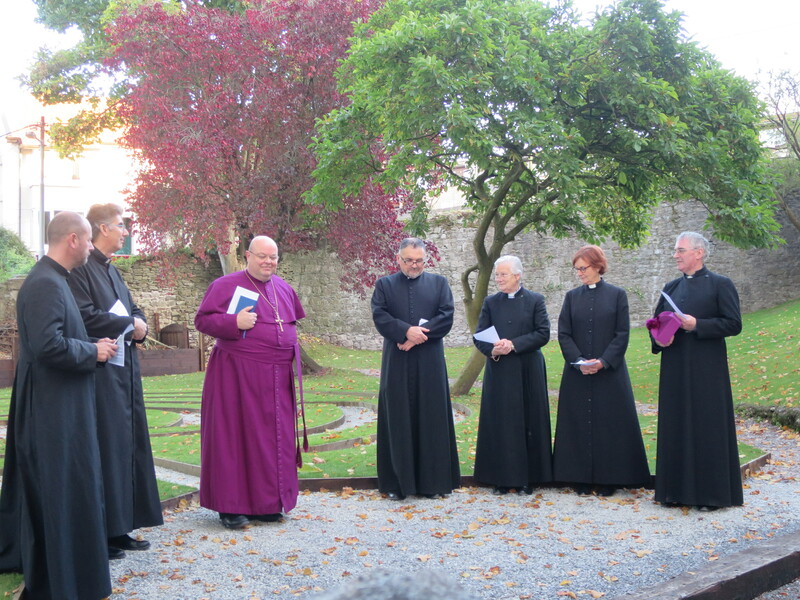 On Monday evening, 19th October the Bishop of Cork, Dr Paul Colton, dedicated a labyrinth which has been constructed in the grounds of St Fin Barre’s Cathedral, Cork. The Dean of Cork, the Very Reverend Nigel Dunne, whose idea it was and who oversaw the project, welcomed everyone and gave a short talk about the meaning and use of labyrinths in spirituality in general, and in the Christian tradition in particular. Psalm 84 was read while Bishop Colton journeyed through the labyrinth. From the centre of the labyrinth the Bishop then read the prayers of dedication based on the ancient itinerarium (prayers used by monks before setting out on a journey). Many of those present then walked the labyrinth. 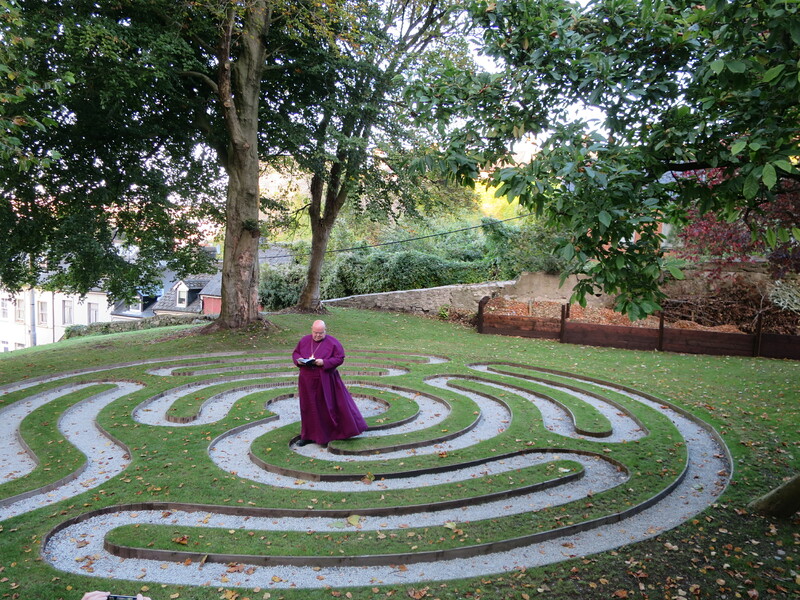 There is an open invitation to everyone to come to visit the Cathedral and now, in the churchyard, to discover the labyrinth and to walk it prayerfully. This entry was posted in Bishop, Cathedral, Labyrinth, Official Opening, Spirituality. Bookmark the permalink.